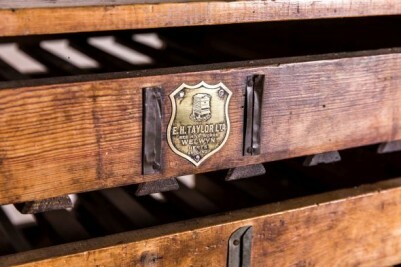 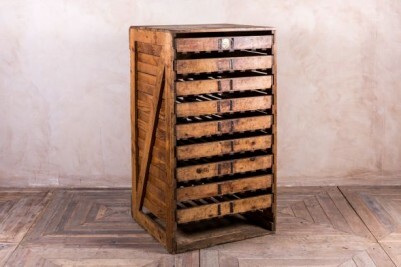 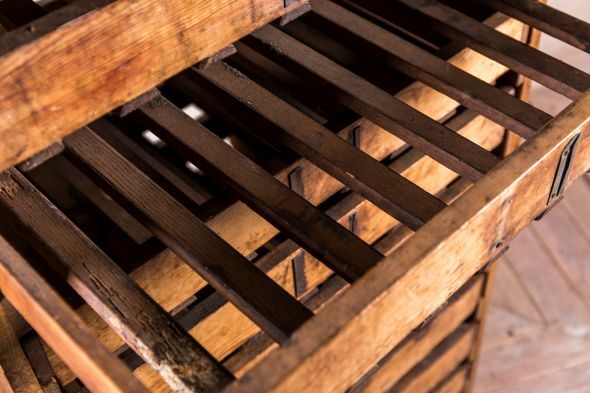 This 1920s vegetable storage rack is a lovely piece of vintage furniture. The unit would previously have been used in a stately home kitchen or pantry to store potatoes, fruit and vegetables. 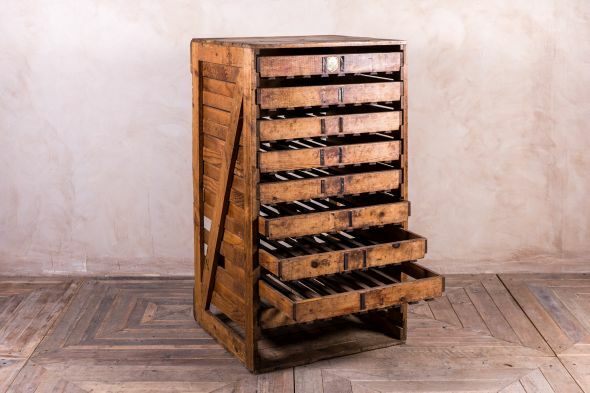 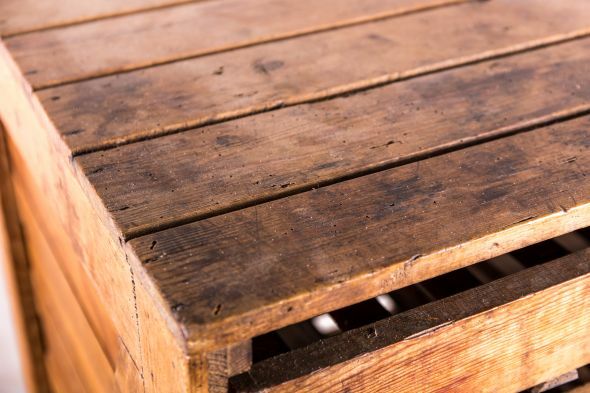 Featuring several shallow slatted pull-out drawers, which would have helped to keep produce cool and fresh, this rack is a really practical piece of furniture. With lots of charm, this beautiful item would add character to any utility room, pantry or kitchen. 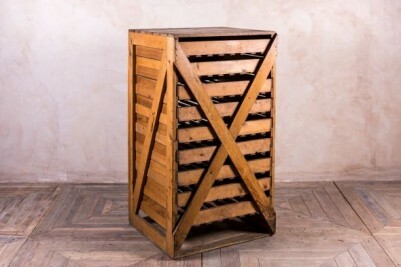 It could also be used as a display piece in a retail outlet, fruit and veg shop, cafe, or restaurant. 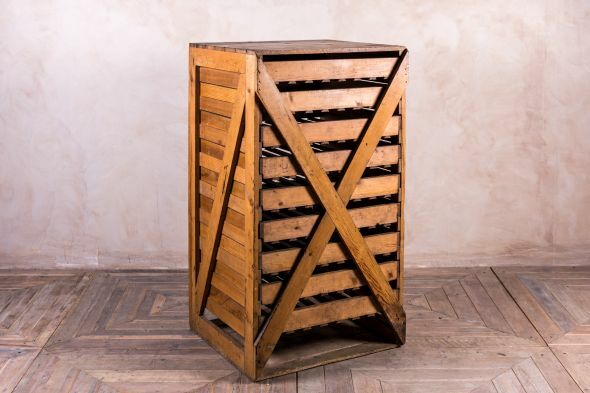 Alternatively, it could be used as a unique magazine rack or filing cabinet in a home office. 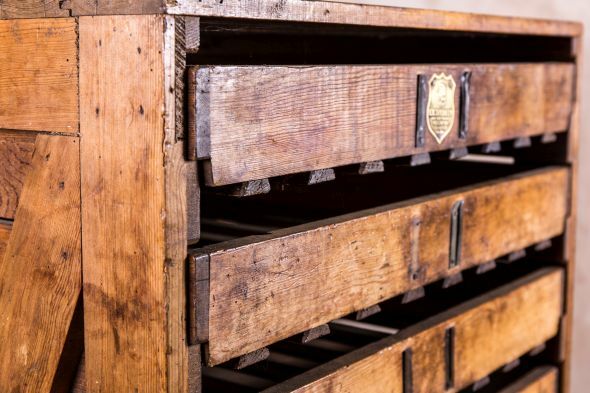 Although in great condition, we do believe there to be a bottom drawer missing – this does not detract from the look of this item, and we feel that it only adds to its character.